These game changers are making some serious waves. Have a seat—Bombardier’s flagship Global 7500 as seen from the inside. Qatar Airways’ Qsuite ticket includes the first-ever business-class double bed and stowable privacy panels that give passengers a private room. 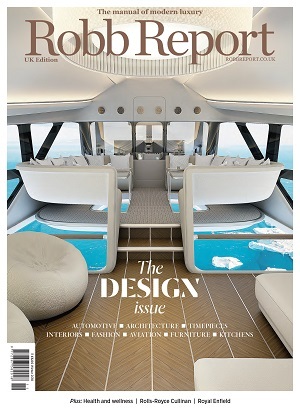 The 295-foot yacht is the handiwork of design dream team Espen Øino and Terence Disdale. New builder Amasea Yachts is upgrading the catamaran by building in aluminium instead of fiberglass and giving its cats three decks. The 70-metre superyacht She features enough deck space and internal volume to stay on board for extended periods of time.